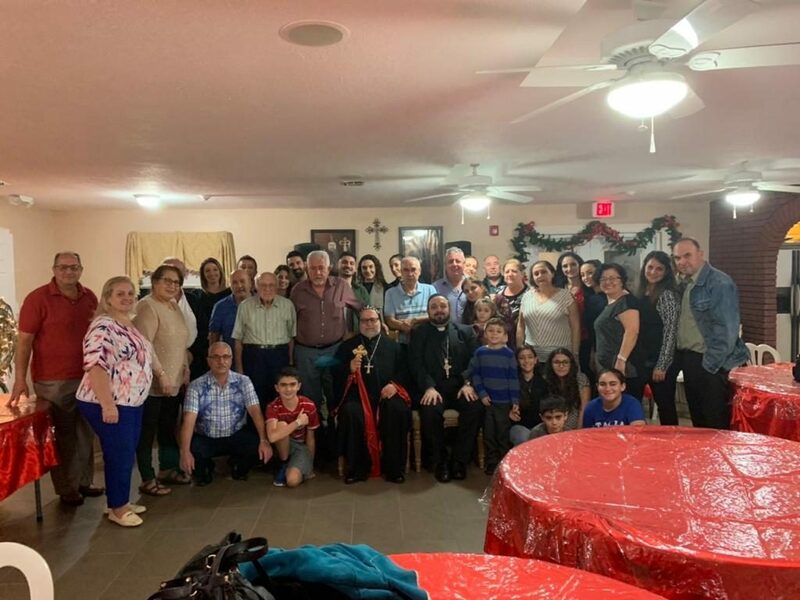 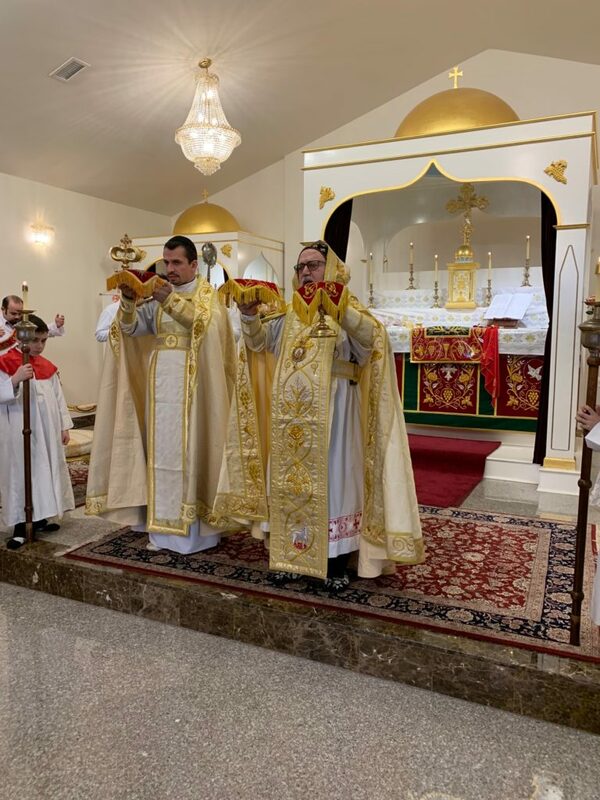 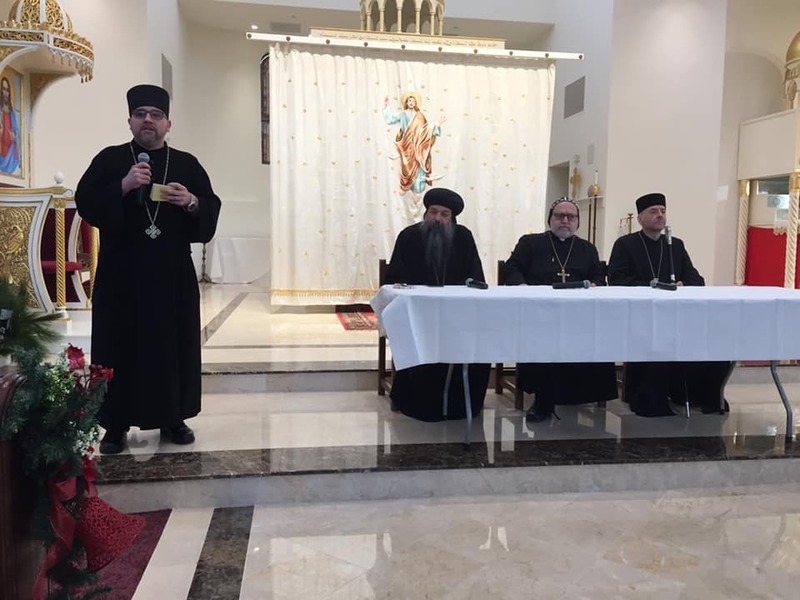 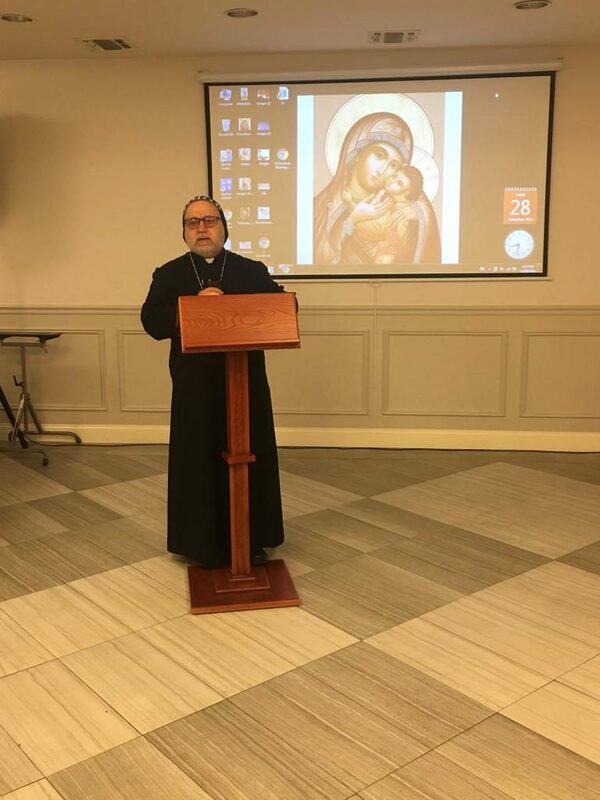 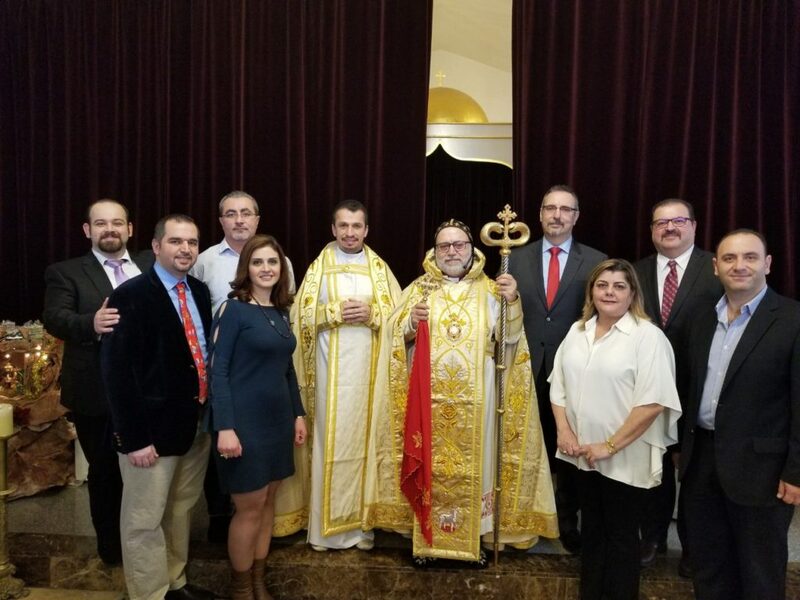 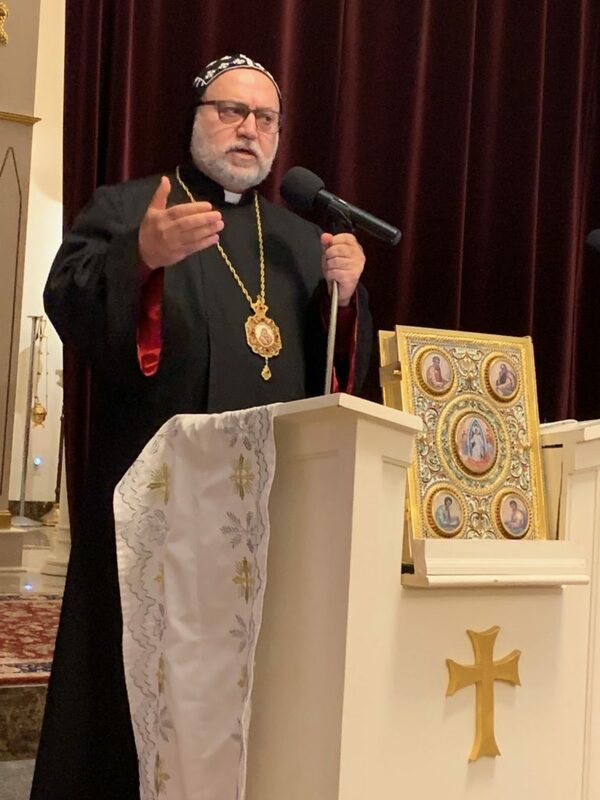 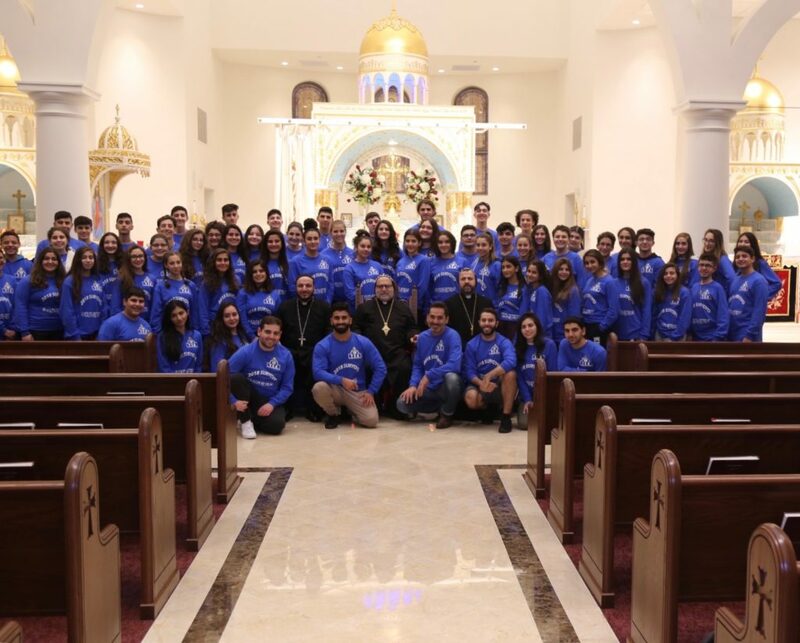 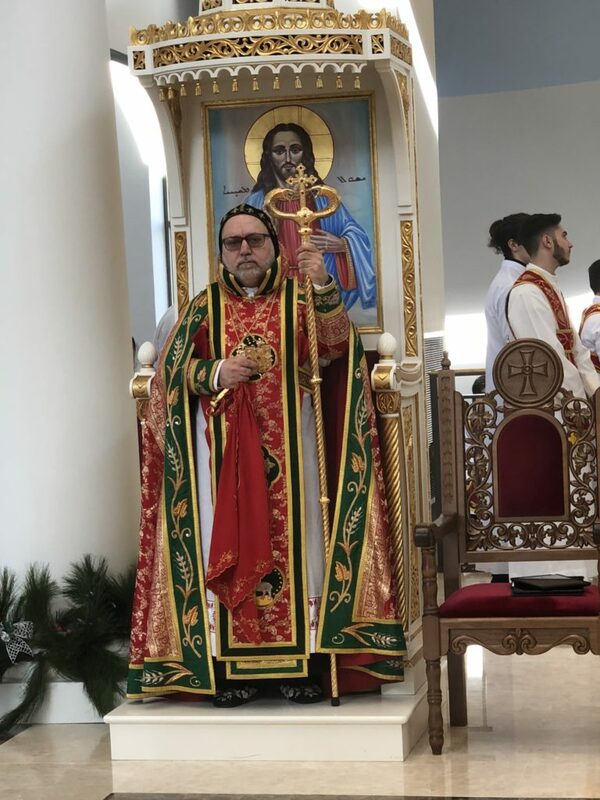 His Eminence Mor Dionysius John Kawak paid a pastoral visit to St. Aphraim Church in Washington D.C. from December 14 to 16. 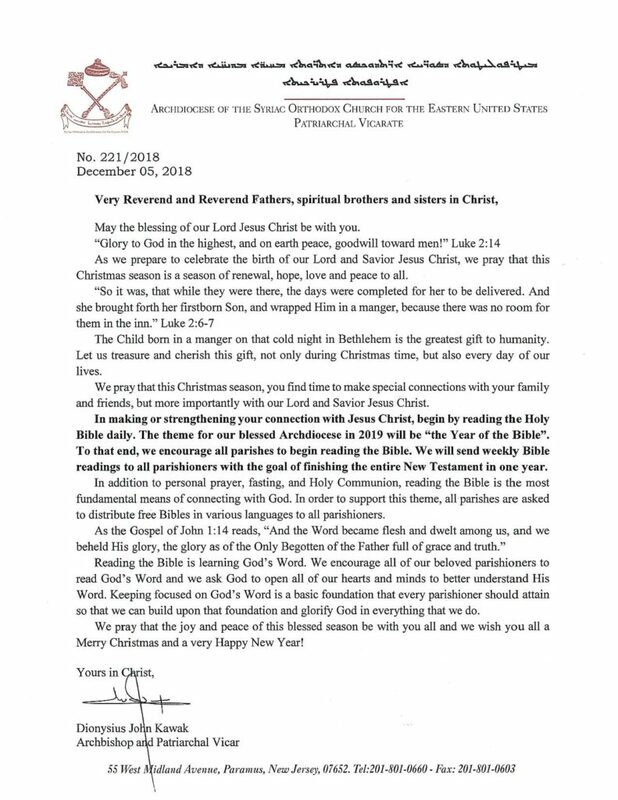 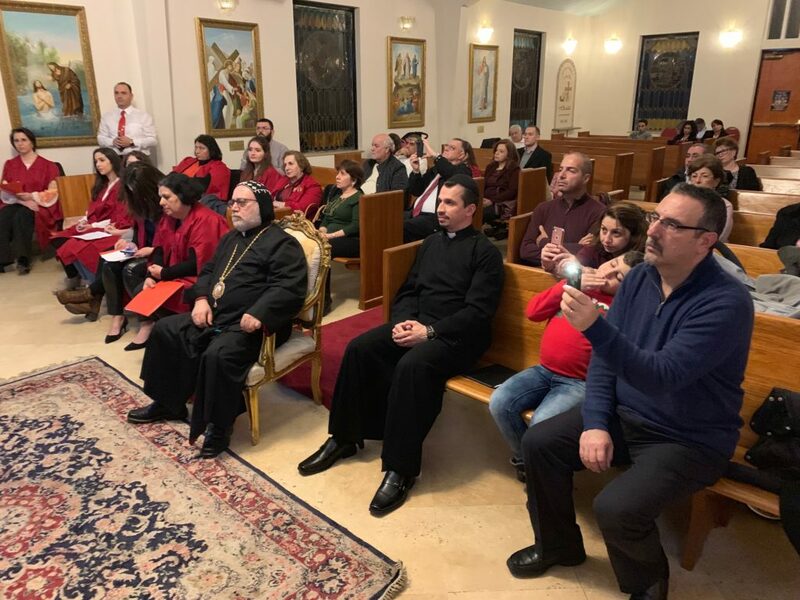 On Saturday evening, His Eminence gave a short meditation on how we prepare ourselves to receive the Lord Jesus Christ in our hearts, then he attended a Cristmas recital prepared and performed by the parish choir. 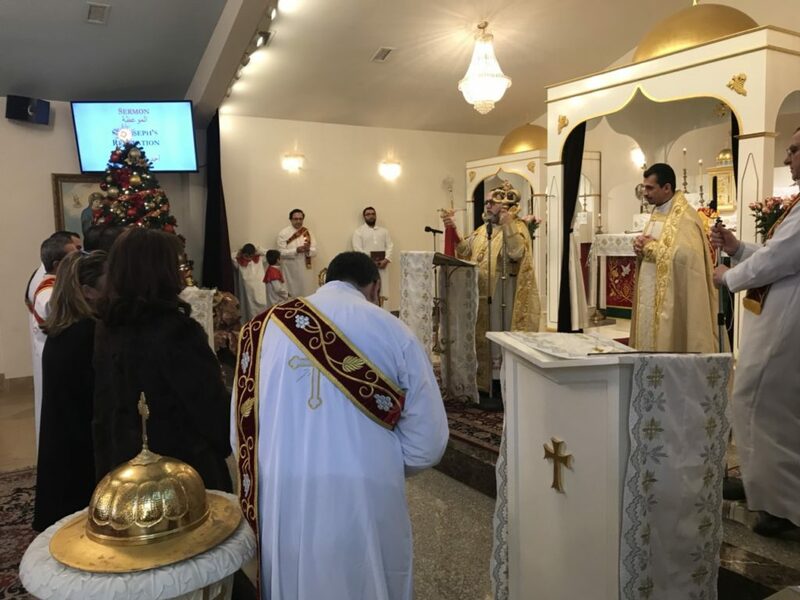 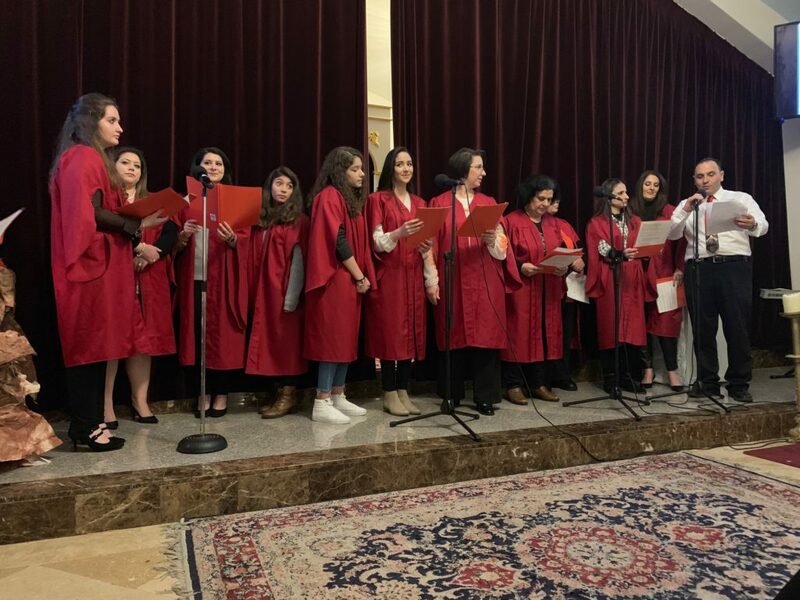 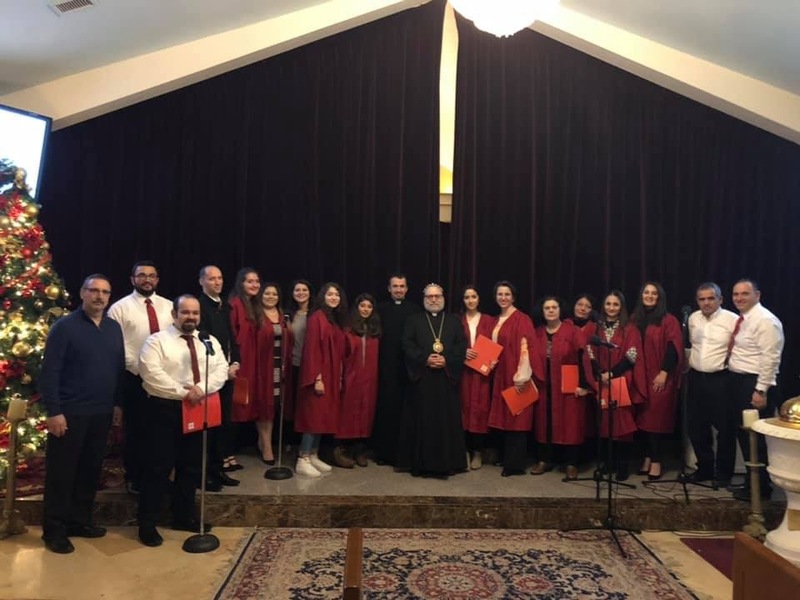 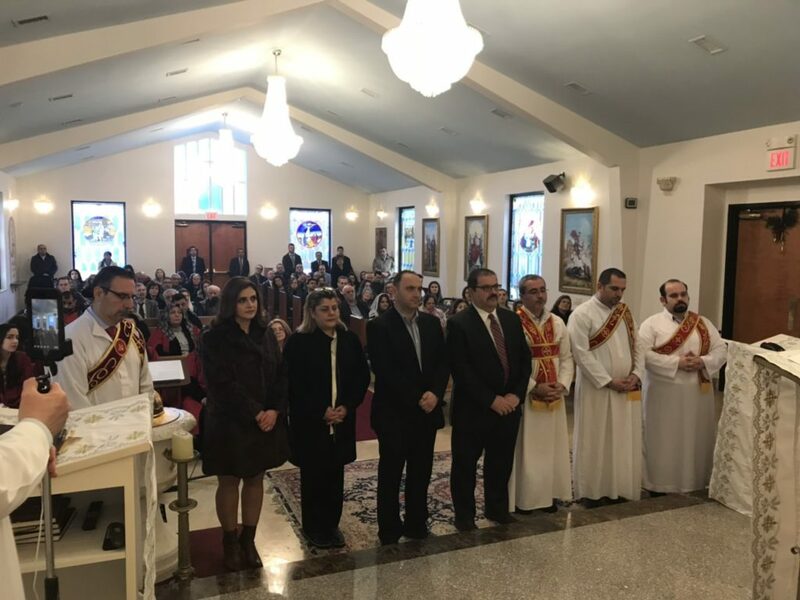 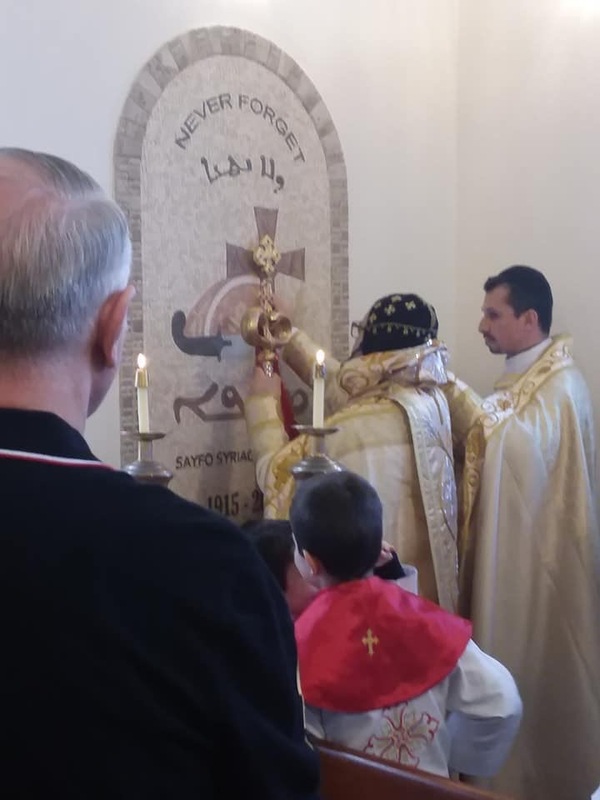 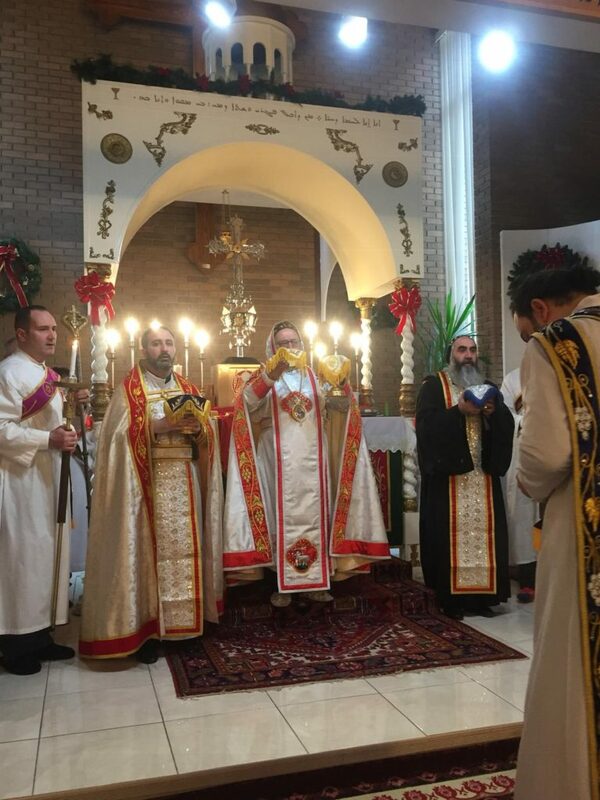 On Sunday December 16th, Eminence Kawak assisted by Father Aphraim Al-Faham, the pastor of St Aphraim parish, celebrated the Holy Liturgy (Qurobo) during which His Eminence blessed the new parish council.